Hi friends! Thanks for hanging in there! We've had a very busy, but fun couple of weeks! Audrey's birthday party was such a sweet time. Nearly everyone in our family was able to make the 3+ hour drive to celebrate! We are incredibly blessed to have so many wonderful people in her life that love her so much! Before I get onto the cute pictures, I want to say that we are praying for friends and family who have been affected by the hurricane. We experienced wind and rain, but thankfully, we never lost power. Many of our friends and families were not as fortunate, and are still without power. Some have had major property damage, as well. I hope that all of my readers on the east coast have made it through the storm ok! It was a low key day for the most part. 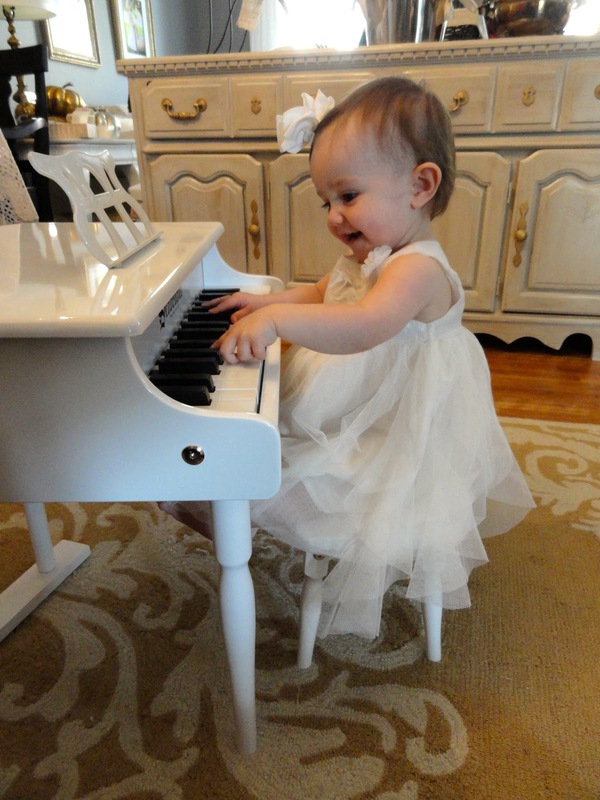 We gave her the gift from the two of us (a Schoenhut baby grand piano). I was so thrilled that she loved it! 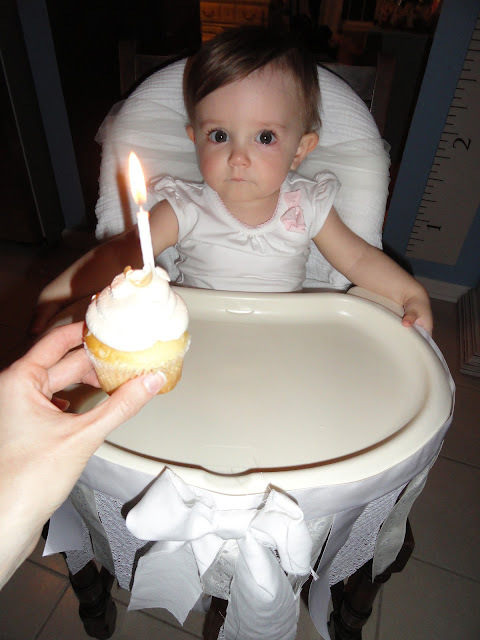 Later, we gave her a cupcake, complete with a candle and sang happy birthday. It was such a sweet moment. 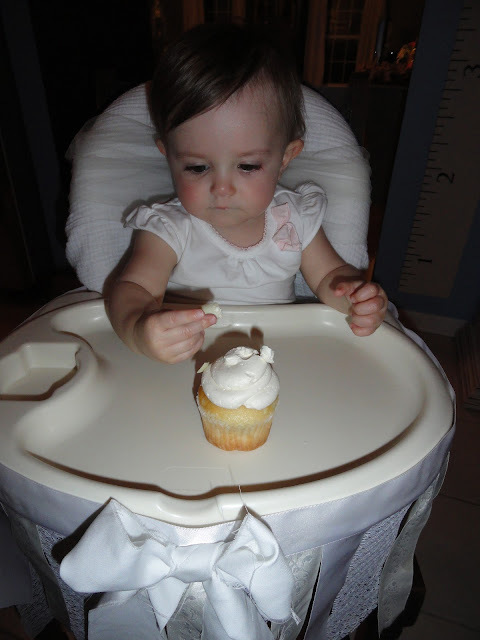 So that was her first birthday! 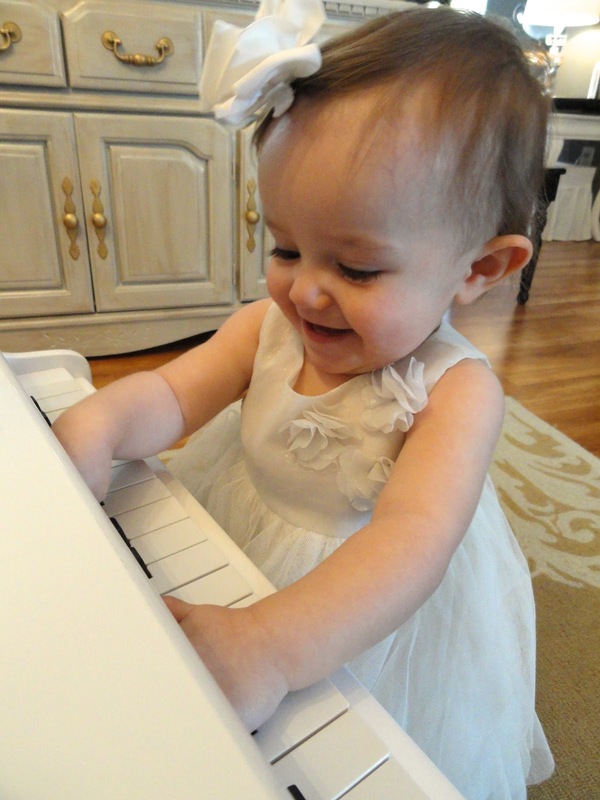 I could have posted 100 more pictures...she was so adorable and excited playing her piano! 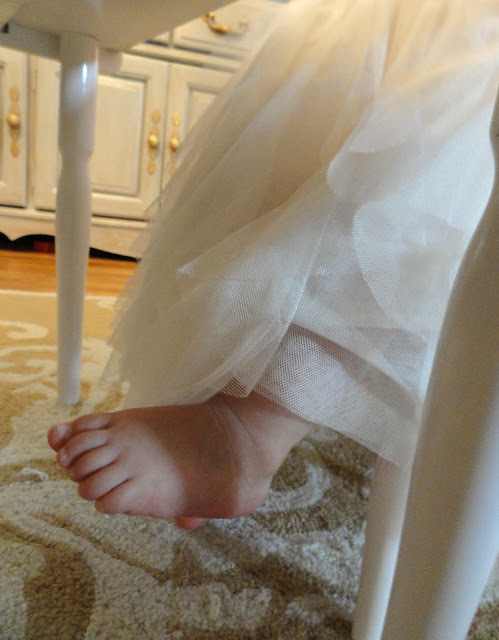 Next I'll be working on the pictures from her party! It might take me a few days...there are soooo many! I'll be back soon! 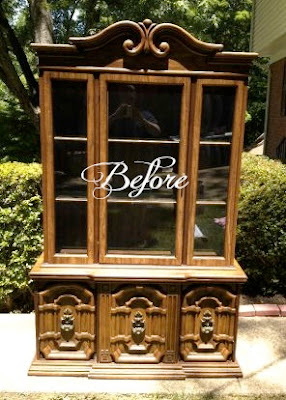 I'm so excited to finally show you this china cabinet makeover! If you need a refresher, I found it on Craigslist, and purchased it for $20!!! Fortunately, it breaks down into 2 pieces, so Josh was able to fit it in the back of our SUV, which meant we didn't have to spend extra money on renting a truck to get it home! Because of my external hard drive being out of commission right now, I don't have access to the pictures from the very beginning stages of this makeover. Don't worry though...it's easy enough to explain, so you won't really miss a thing! Once I recover the pictures, I may come back to this post and add them in for you. 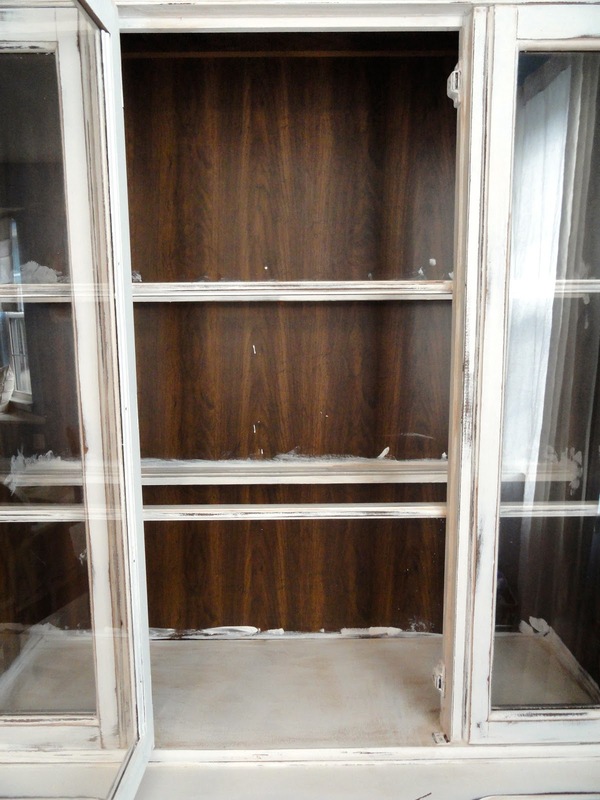 Initially, I began by spray painting the cabinet, using a paint and primer in one. 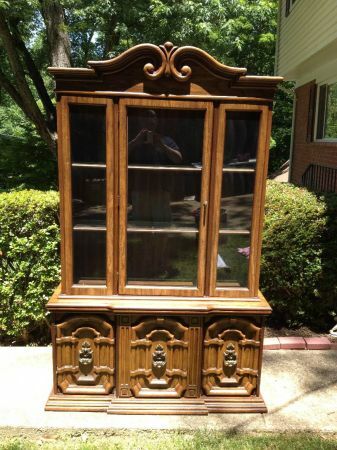 I thought it would be a great, time saving idea, since the cabinet has so much detail. Well....I was wrong! I was on the 4th coat of spray paint when I decided to throw in the towel. 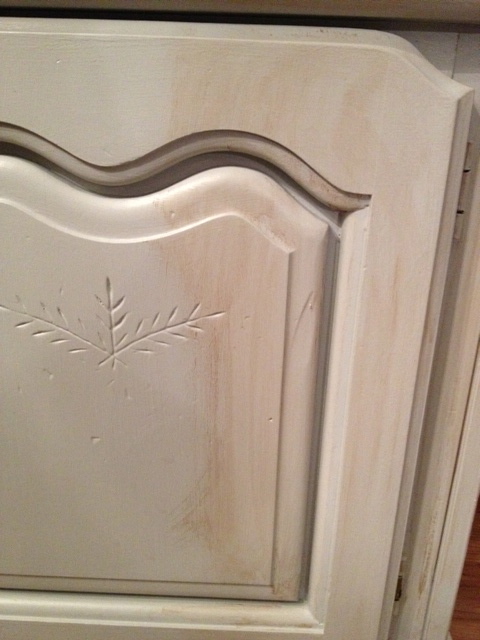 The spray paint just wasn't coating the cabinet well enough to continue on. I knew it would be tedious to paint it with regular paint and a brush, but I also knew that once I gave it one or two good coats, I would be done. 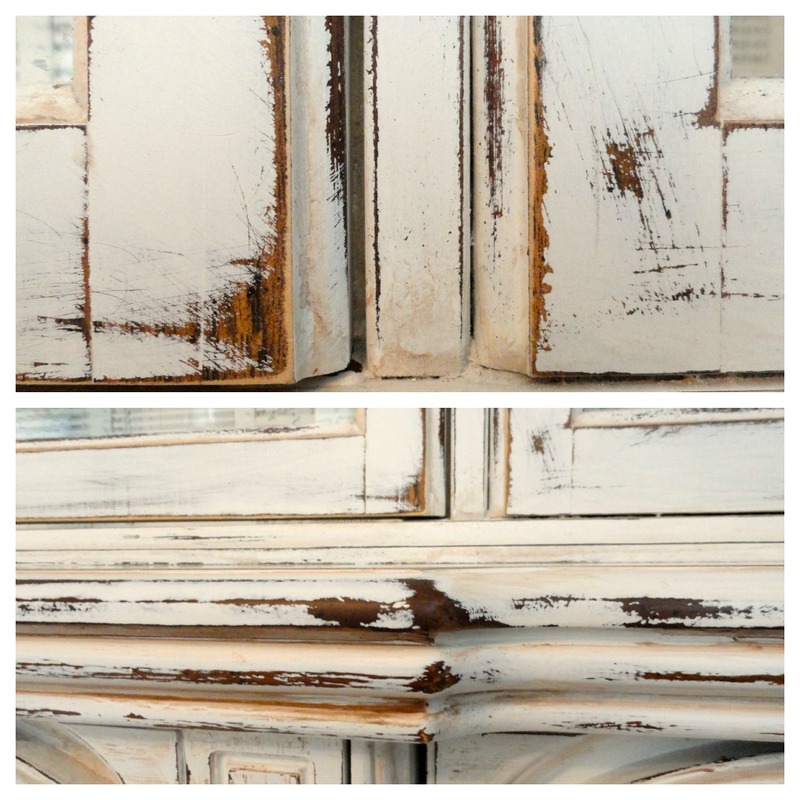 I began my distressed look by glazing the entire cabinet. 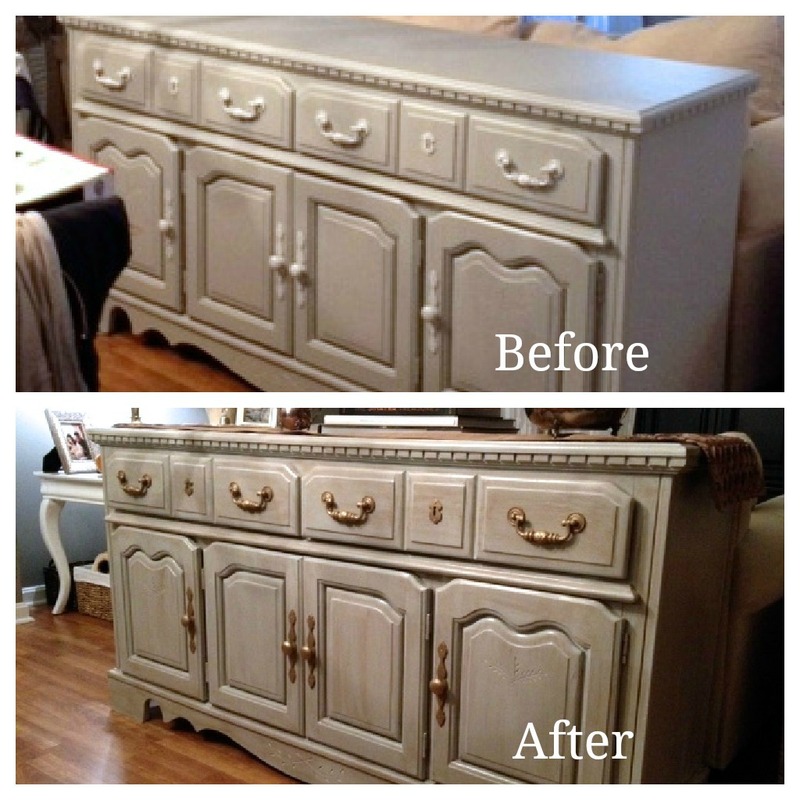 Similar to what I did on my gray cabinet, but this time, I started by dipping the brush into the brown paint first, and then the cup of water. For each dip, you just want to skim the surface. 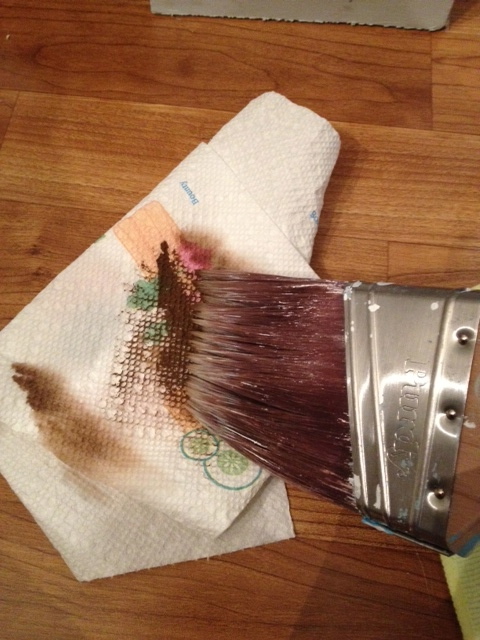 Dab the brush off on some paper towel to see how concentrated your mix of water and paint is. I didn't want mine super light, but I didn't want it too dark either. This is just something you'll have to test out as you go, until you figure out your ideal ratio. Work in small sections so that your glaze doesn't dry before you get a chance to wipe it. 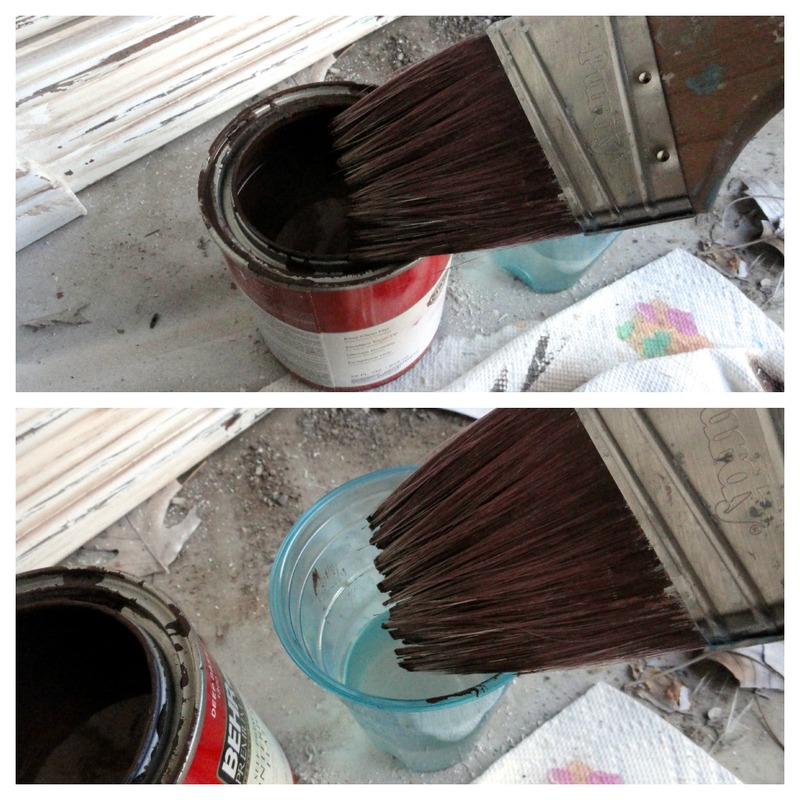 Re-dip your brush into the paint and water as soon as it loses pigment, dab on paper towel, and continue to glaze your furniture. 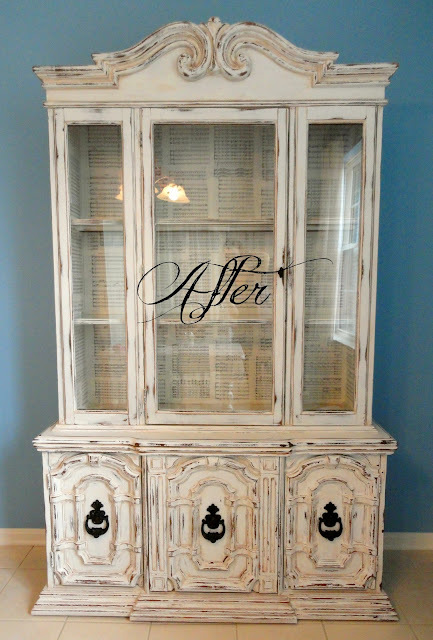 I used top to bottom strokes on the doors and sides of the cabinet, and left to right strokes on the bottom and front edges, as well as the top area of the cabinet. 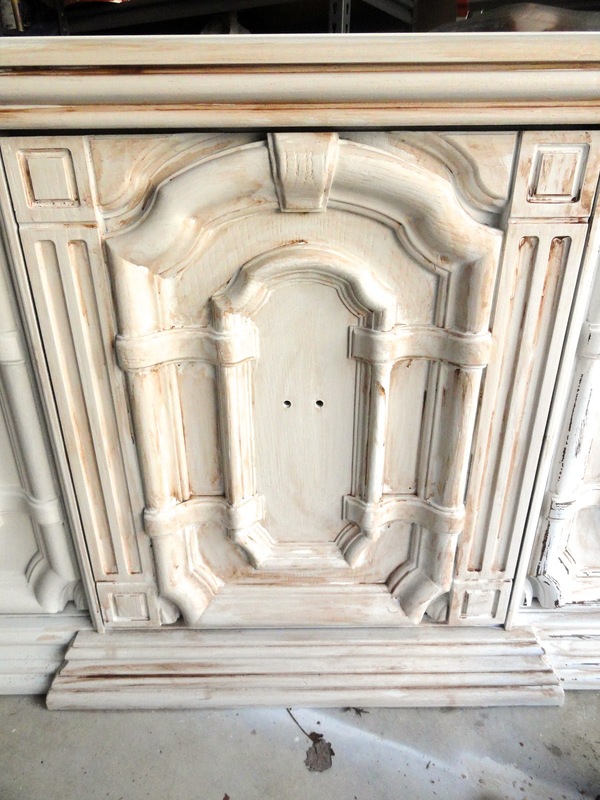 The next step is to grab your sanding block and sand down the entire piece. This helps the glaze to sort of blend in and look more realistic...as if the patina had developed over a long period of time. Once the whole piece has been sanded down, start sanding down edges and high points. I started with the coarse sanding block to cut quickly, and worked my way down to medium, then fine. Oh...here's a tip! 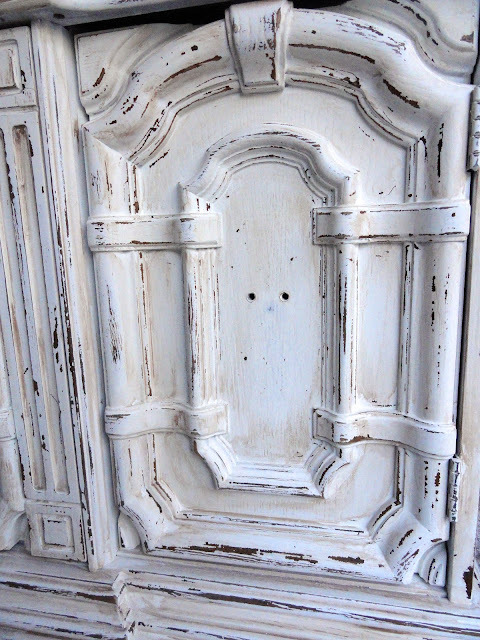 Save your fingers and use a pair of gloves if you're going to be distressing a large piece like this. I learned this the hard way, after day 1 of sanding, when I thought I had sanded my fingertips right off! I wanted this piece to look very old, so I did a LOT of sanding! At first, I was a little unsure about how the sanding would go because this cabinet is laminate! I've never sanded paint off of laminate before, and I thought it might scrape off, not giving me the look I wanted. Thankfully it worked just fine! My second distressing tool was the putty knife. 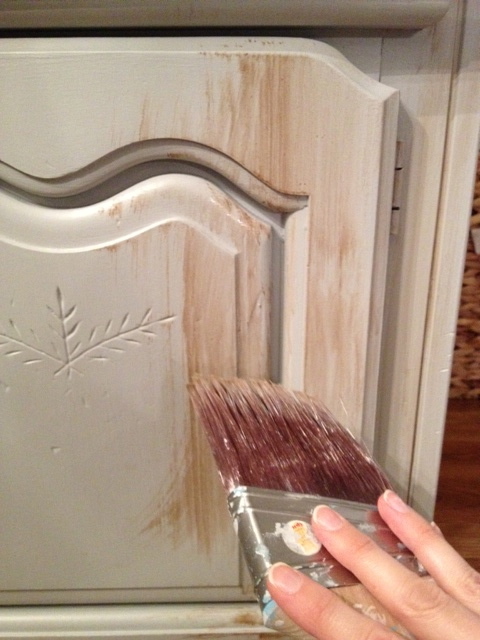 I used it to scrape off paint in areas...especially ones that were too difficult to reach with the sanding block. The putty knife was also nice to use because it created a different look than the sanding block did. Keep taking a step back to look at the piece as a whole. 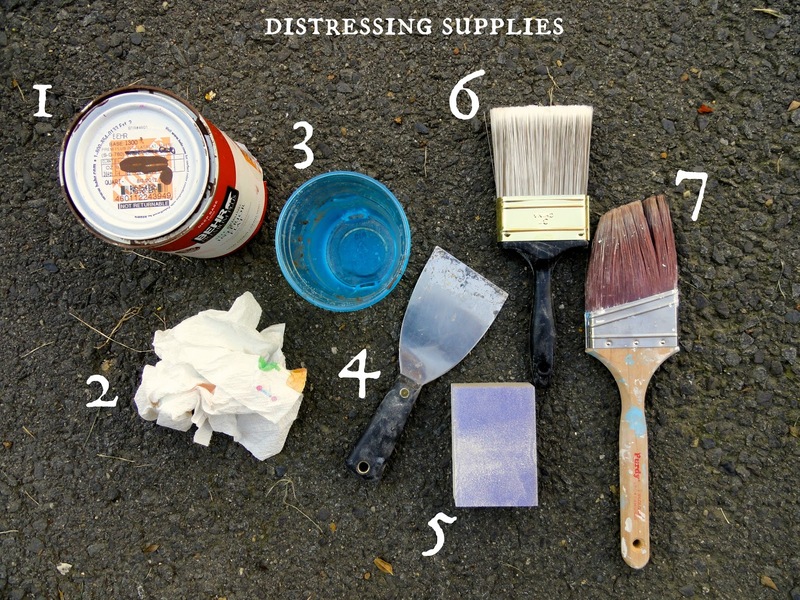 This will help you to see how realistic your distressing looks and to see if you need to do more distressing or not. Every once in a while, grab your clean, dry paintbrush to dust off your piece. Once you're happy with the distressing, make sure you thoroughly dust your piece and wipe it down with a damp cloth. 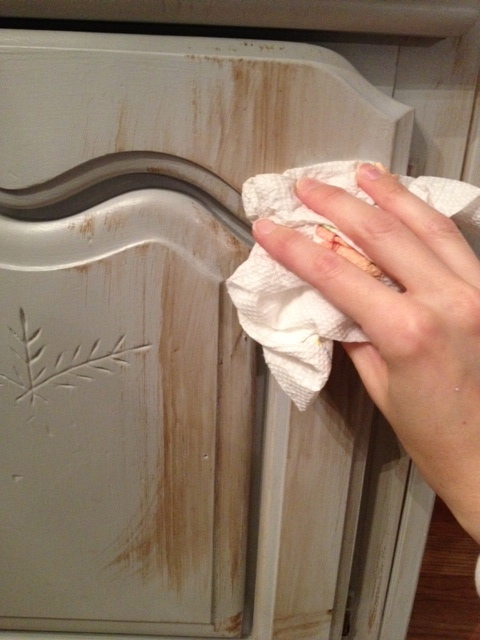 Then, seal it with a clear coat to protect your hard work. I used Minwax Polycrylic. 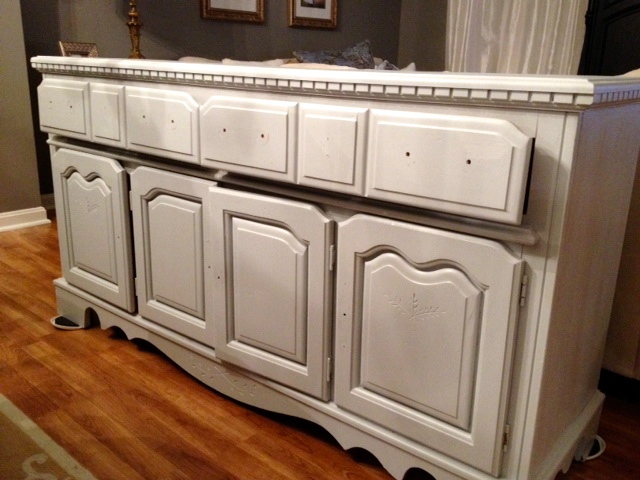 Here's the full cabinet in my kitchen after I sealed it! Initially, I had covered and taped off the glass with magazine paper, but it was just getting in the way, so I tore it off. 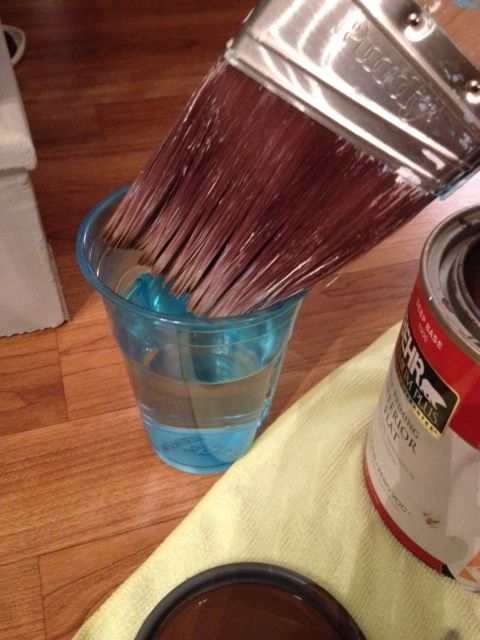 The paint was easily removed from the glass with a razor blade. I left the inside of the cabinet unpainted because I knew I wanted to line it with some kind of paper. I turned to my trusty music sheets, once again (last seen here). I hung them in a random fashion with double-stick tape. This works really great and it's not permanent, so I can always change out the paper when I want! 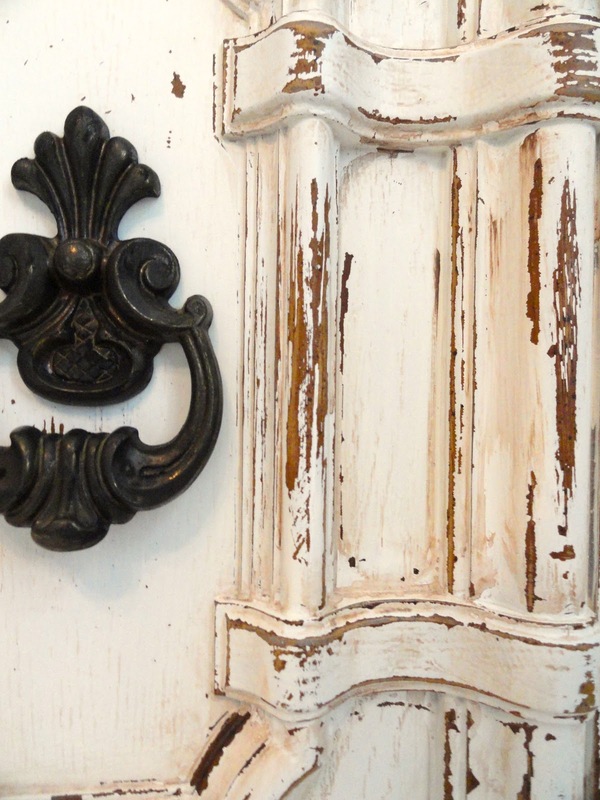 I liked the original hardware, so I decided to keep it and make a minor change to it by using Rub 'n Buff in Ebony. I'll try to share a picture of the filled cabinet with you soon! This morning we are off to Audrey's one year photoshoot! I'm so excited! The rest of the week will be spent welcoming family into town for her party this coming weekend....and of course getting all the last minute details taken care of! I'm looking forward to celebrating our precious girl and spending time with family! I hope you all liked the cabinet makeover! Have a great week! Hi friends! This month has been one of the busiest ever! I've been wanting to post more frequently to update you on projects and things, but I just literally do not have the time! I usually need to choose between blogging or sleeping...or working on a project for Audrey's party...so unfortunately, blogging doesn't usually win! I promise I will eventually get around to posting the tutorial and reveal on the china cabinet as well as a couple other things I've been doing around here! In the meantime, I have a very busy (but fun) two weeks ahead of me! This weekend is my dear friend, Rebekah's birthday, and then we have Audrey's one year photo shoot on Monday, then I will be using the rest of my time and energy to perfect the details of her party. Thursday is her actual birthday which I think will be pretty low key. 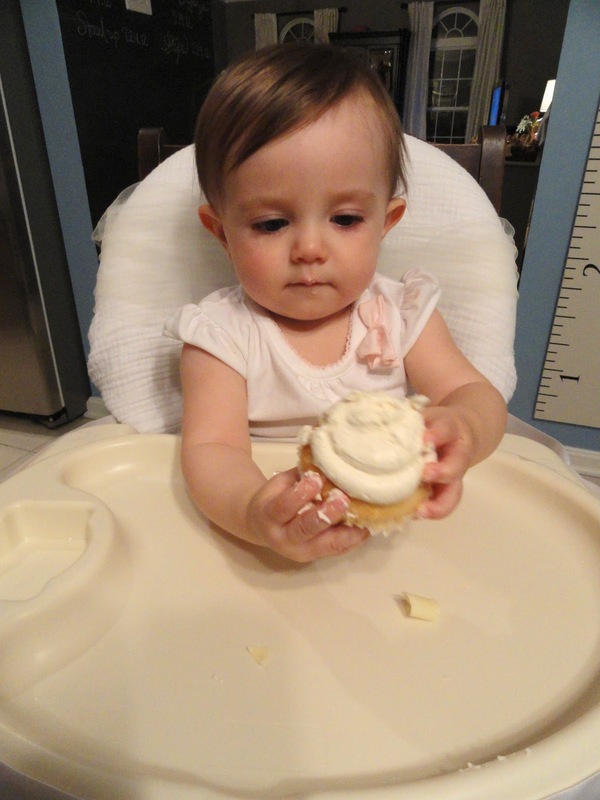 We will give her the present from us, and a special treat...maybe a cupcake or some frozen yogurt (dairy-free!). My amazing sister-in-law, Christiane is coming early next week to help me out since Josh will be traveling for work. She is such a lifesaver!!! Then on Friday morning, my dad gets in from Canada, and on Friday night, Andrea, Bryan and Melissa are arriving! Everyone else will be arriving on the day of the party, and overall, we will have about 8-9 people sleeping here! Pray I can get everything in order before then, because right now our house looks like the ultimate disaster area! I'll leave you with a couple of pictures we took this past weekend. 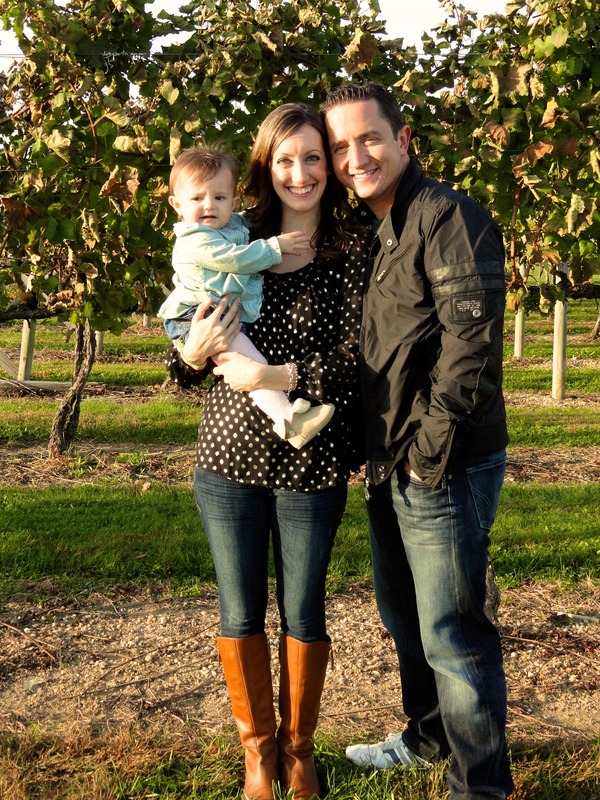 We threw Josh's parents a surprise anniversary party at a beautiful vineyard. It was the perfect fall day, and I think everyone had a great time, especially his parents! These were taken at the end of the day, and Audrey was kind of done....can you tell?! Ok, I'm off to glitter some pumpkins! Check out my easy tutorial to make your own! Have a great weekend! I'll be back as soon as I can! 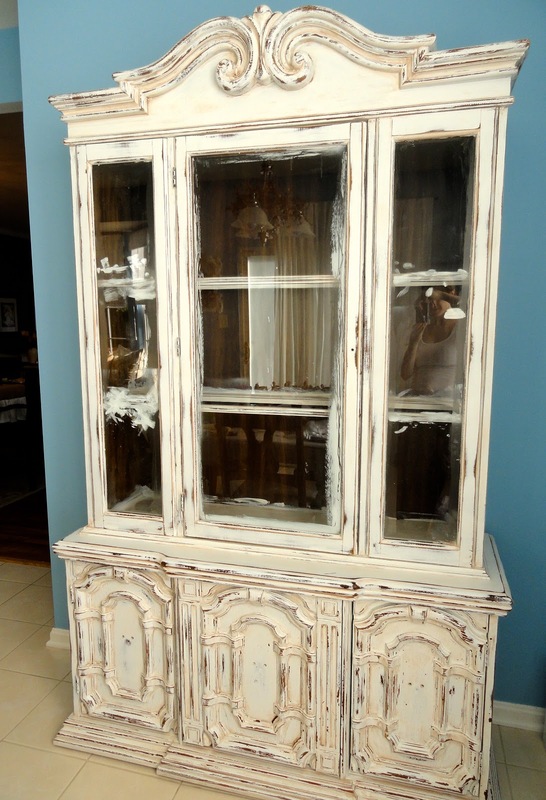 I've had this gray cabinet for over a year now, but since purchasing my china cabinet on Craigslist, I no longer needed this piece in my kitchen. See it on the left? 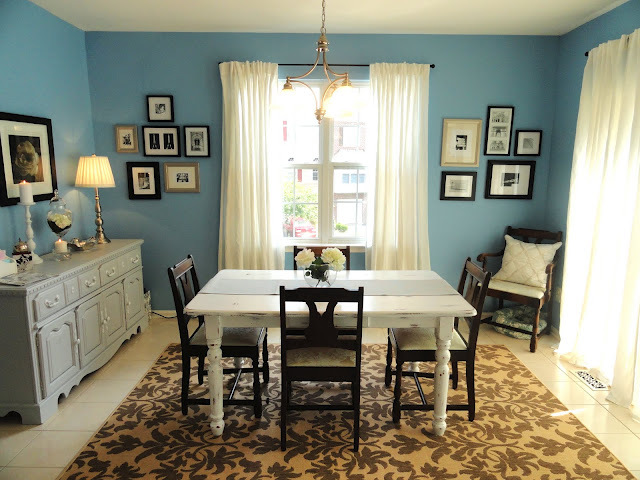 (PS-my kitchen doesn't look like this anymore...it's in the middle of being redecorated and soon, repainted. Don't tell Josh though, he doesn't know about the painting part yet! Haha). Since my china cabinet will go along this wall, I decided to move the gray cabinet into the living room. 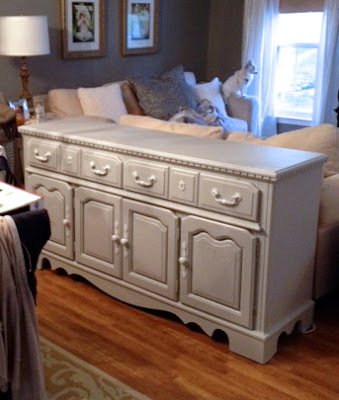 It's great for storing my linens, stationary, and other things I need on a daily basis, so I wanted to keep it nearby. Last year, I had painted it in a hurry, just a couple of weeks before Audrey was born, and I always felt like it was missing something. 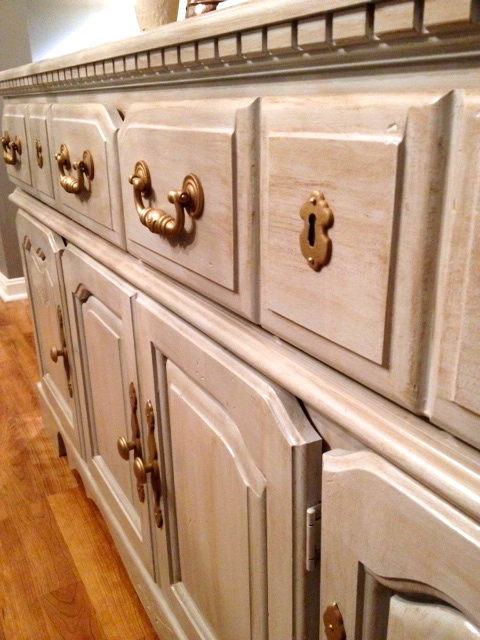 It was just too "clean" looking, so I decided that a coat of glaze and changing the hardware finish would give it the look I wanted. 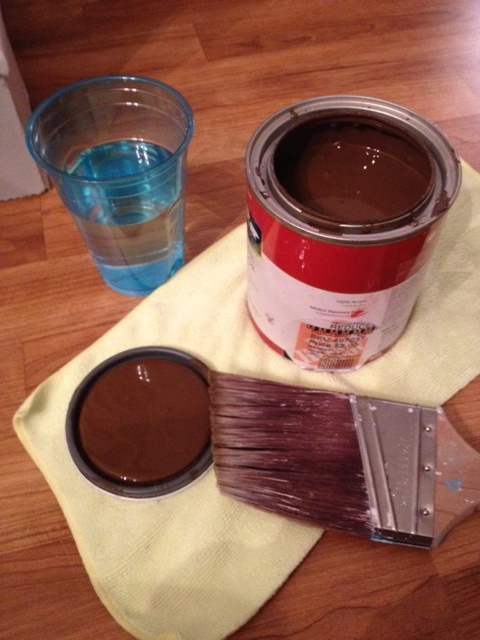 First, lightly dip the paintbrush in the paint, then gently brush it off on a paper towel. 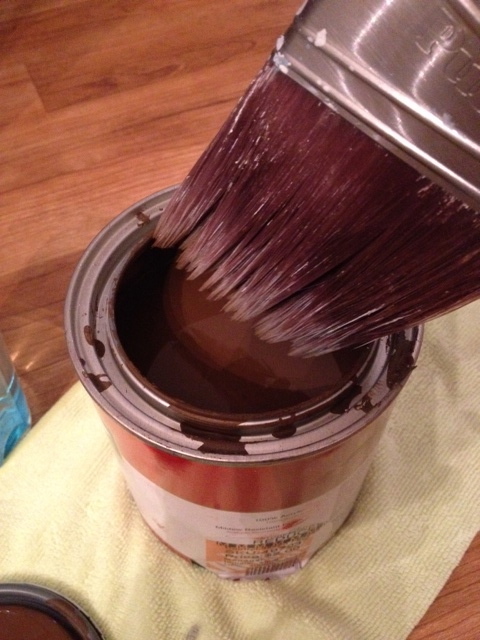 Next, lightly dip the brush in the water. Again, brush it off just a bit onto the paper towel. Then, just wipe the brush along your furniture in an up and down motion. I used up and down motions for the entire piece, aside from the top and drawers where I used a left to right sweeping motion. Now, wipe it off with your paper towel, and you'll be left with a light glaze. Repeat over the whole piece, working quickly so that the glaze doesn't dry before wiping. 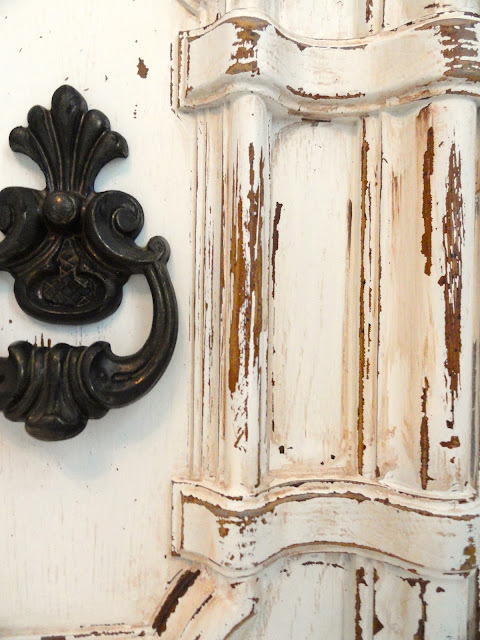 I did just one coat of glaze, but if you're looking for a darker or more aged finish, you can do as many as you like until you achieve the result you're looking for. Once the glaze was dry, I gave the cabinet one coat of Minwax Polycrylic protective top coat. 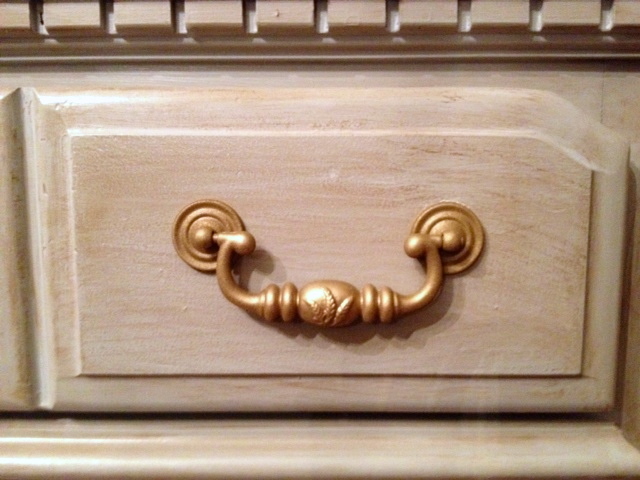 While the top coat was drying, I spray painted the hardware gold. 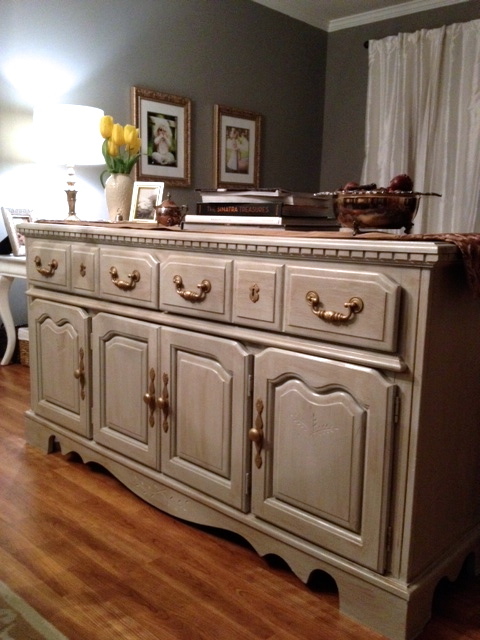 I think it compliments the glaze really well, and of course it fits in really nicely with the rest of the gold accents in the living room. I'm really happy with the way it turned out! I love its new location, too. 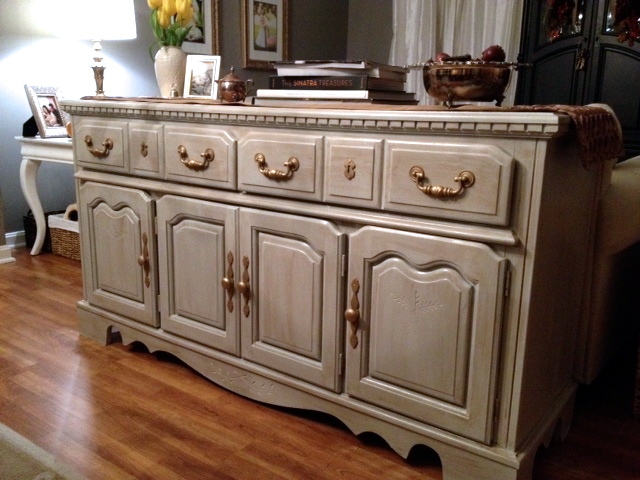 I think it will be great to use for entertaining as a little buffet for drinks, serving platters, and more! 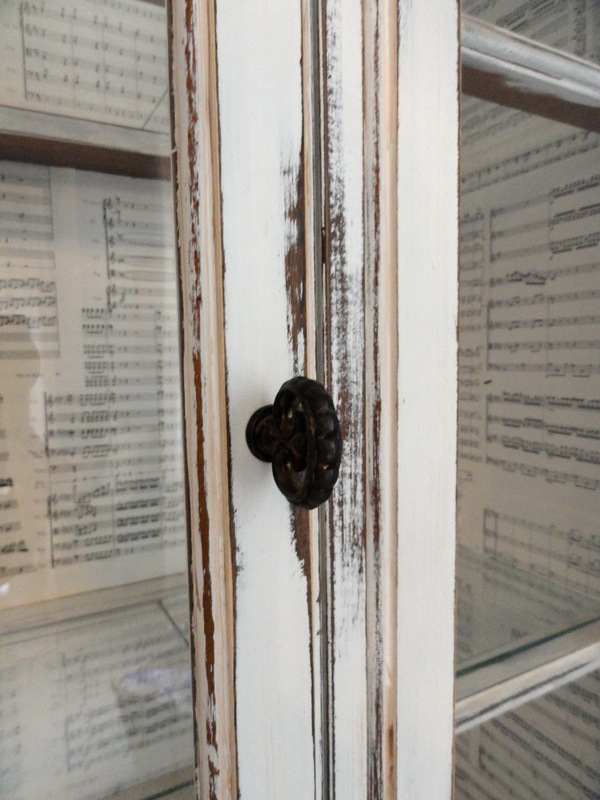 I hope you liked this little makeover...and this easy glazing method! We have a busy weekend ahead! 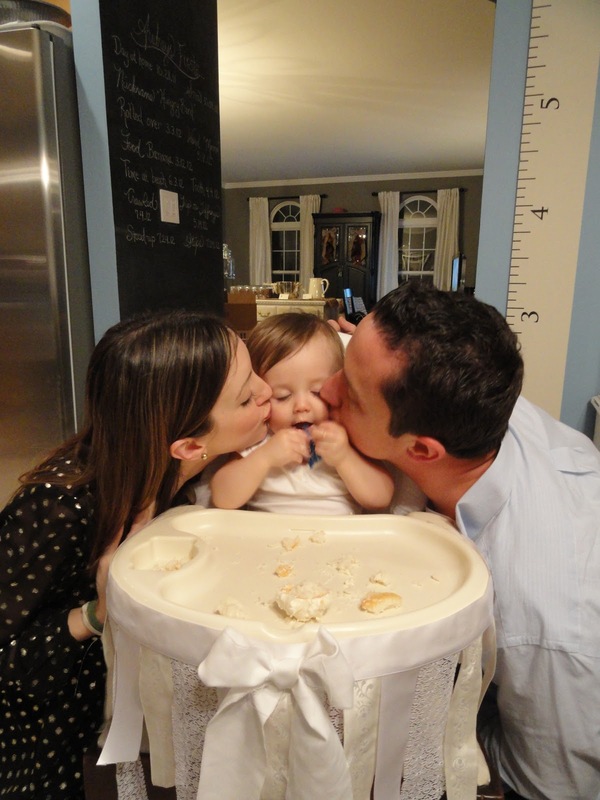 Once again, we are traveling to NJ to visit family, and as soon as we get back, we have Audrey's one year photo shoot. 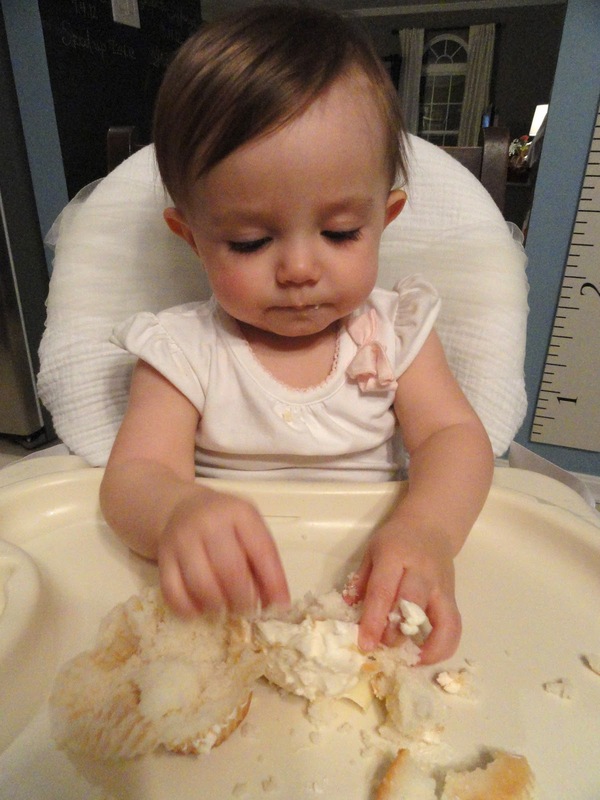 Then, I'll be working hard to finish making things, running last minute errands, and cleaning up the house for her party! Exciting, but very busy! 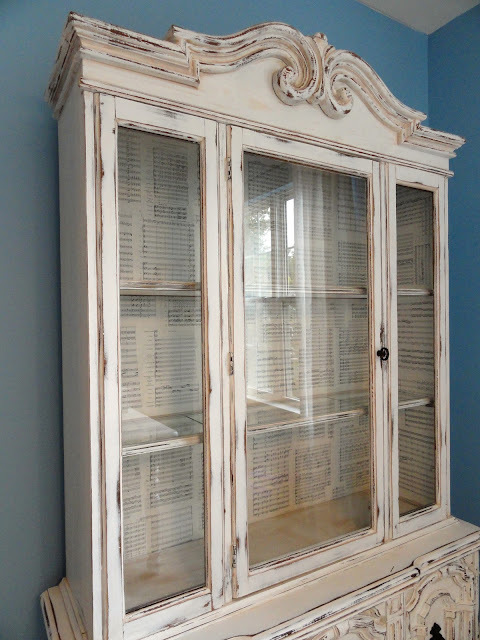 Speaking of exciting...the china cabinet is 100% finished! I can't wait to share it with you but...much to my shock and dismay, the external drive that holds all of my photos is now refusing to open my albums! I'm sure it can be repaired (again), but I will probably have to take it to the Apple store (again! ), and I'm not sure how soon I can do that...but it's definitely a priority! I hope you all have a beautiful fall weekend!